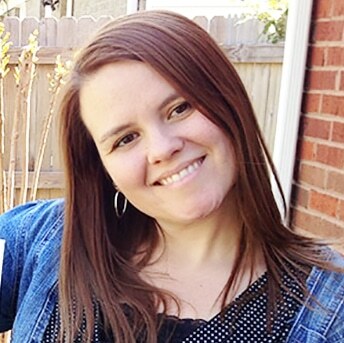 If you didn’t already know… my husband and I are expecting! We found out the gender of the baby recently and had a Gender Reveal Party to celebrate! Our color theme wasn’t the usual pink and blue. Instead I went with Coral and Mint (Coral Girl, Mint Boy)! It wasn’t easy to find things that had Coral and Mint as the colors, but with some creativity I was able to pull it off! 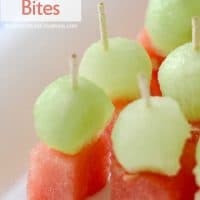 These Mini Melon Bites looked great on the dessert table and were the perfect colors naturally! These were so refreshing to have since we had a lot of really sweet desserts! Be sure to come back everyday this week as I “reveal” to you even more about the party! 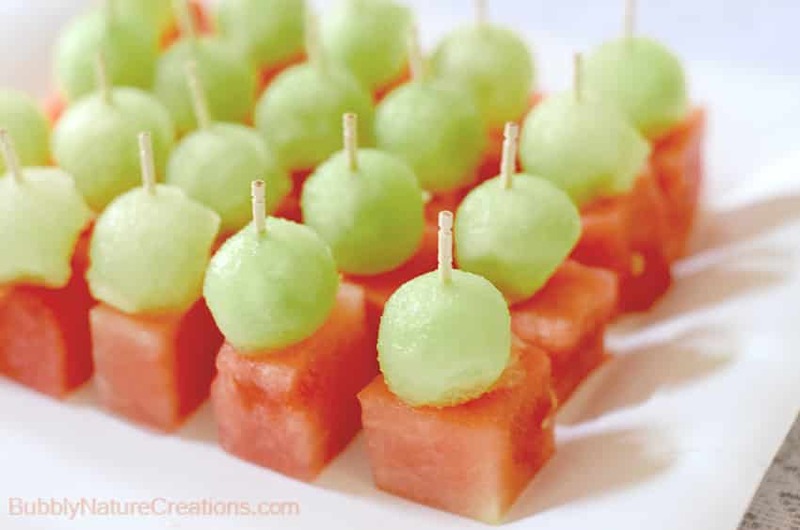 place a honey dew ball on top of the watermelon cube and pierce with a toothpick through the middle. Repeat for each one. Enjoy! So pretty and refreshing! 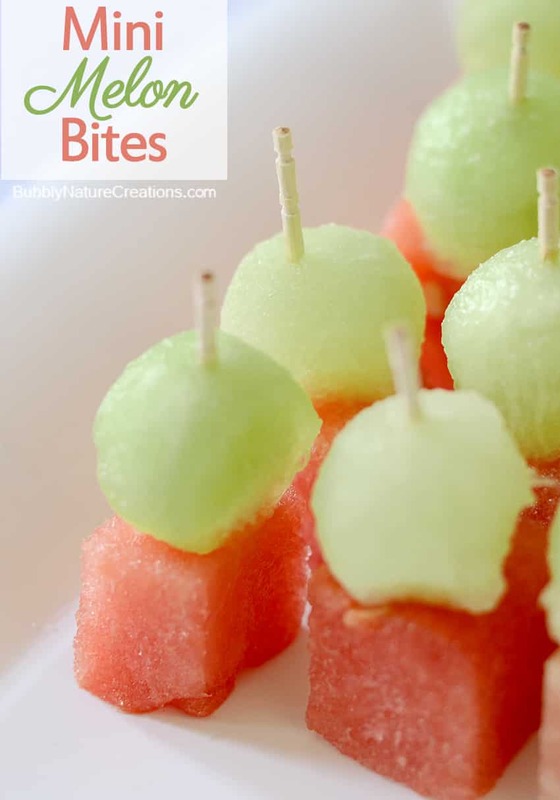 What an easy presentation for a sweet fruity treat!